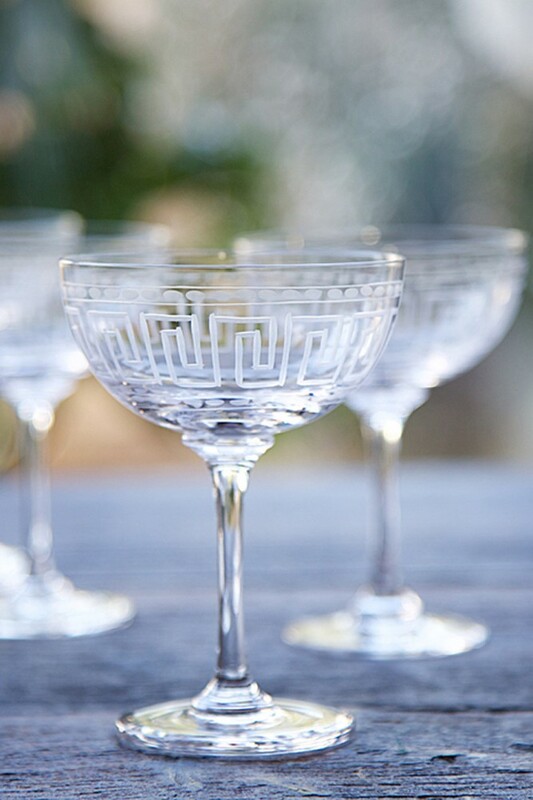 Champagne always makes us feel elegant and sophisticated, but these beautiful saucers take it one step further! The four different designs were inspired by 19th century and early 20th century English designs - we just can't choose our favourite! The perfect accompaniment to any dinner party or celebration, we love the delicate and sophisticated look of the Vintage Style Crystal Champagne Saucers. 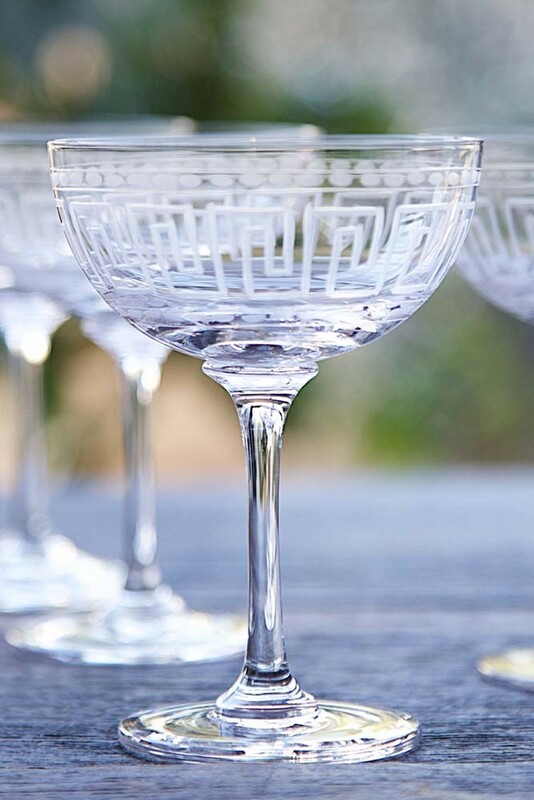 Made from fine crystal glass and hand-engraved, these saucers will provide an elegant and stunning champagne coupe to hand to your guests when celebrating birthday's, anniversaries, New Year, Christmas, any event where the occasion demands something special. They will also look amazing displayed in a glass cabinet or cupboard when not in use. Each glass has been hand blown using fine crystal glass and hand engraved to give exceptional detail. 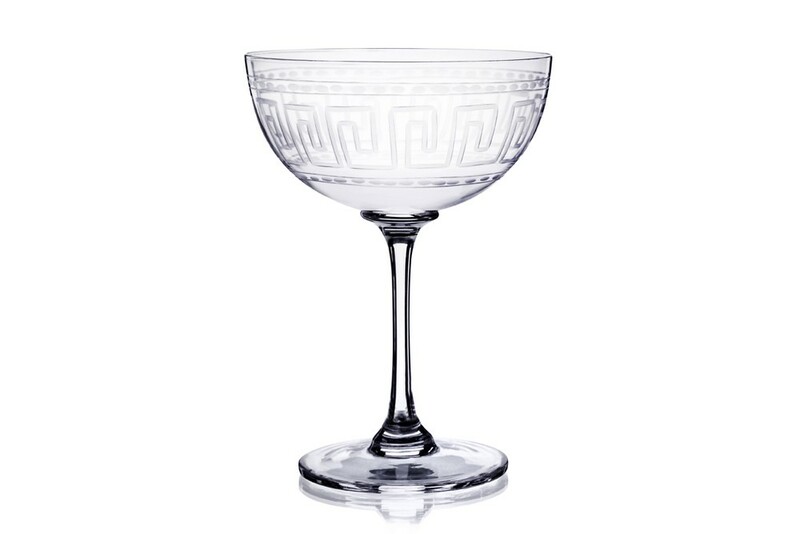 Decorated with with an elegant Greek Key pattern, this design oozes elegance and would make the perfect gift for a friend or loved one or why not treat your own glassware collection.